Semi evergreen compact shrub with dark glossy green leaves. 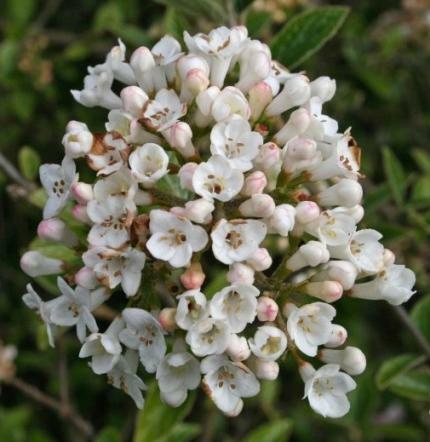 Globes of pink buds open to very fragrant tubular white flowers, April/May. 2m tall. Sun or semi shade.